Please Note: A $100 Deposit Per Person is Required to Reserve Your Space! You heard that right! Experience the show everyone is talking about! This revolutionary new musical has taken Broadway by storm and continues to be the hottest ticket in town! 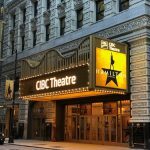 Enjoy Front Mezzanine seats accessible by the elevator at the Historic CIBC Theatre. 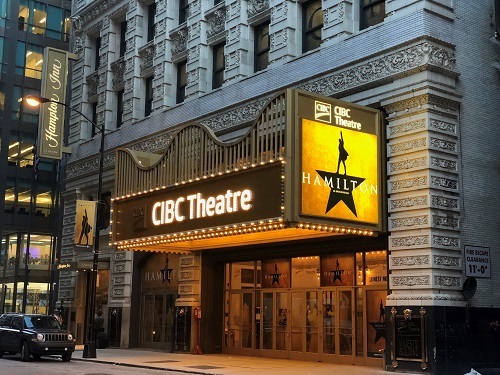 Step-on guided tour of Chicago to include the Gold Coast, Astor Street Historic District, some of Chicago’s beautiful 26-miles of lakefront, Buckingham Fountain, Hyde Park and the statue “Alexander Hamilton” designed by sculptor John Angel. Guided tour of the Art Institute of Chicago, voted the best in the world by Trip Advisor! Visit the Chicago Fire Academy, on the O’Leary barn, believed to be the actual site where the Great Chicago Fire started! Dine at legendary Lawry’s Restaurant, in the historic McCormick Mansion, one of the most elegant homes of the Gilded Age! Please Note: There will be a $500 penalty per person if you cancel after April 24, 2019. Travel Protection to protect this amount, as well as your remaining balance, will be available for purchase upon final billing.